As the smaller sibling to Audi’s popular Q5 compact crossover, the 2017 Audi Q3 has the qualities you’d hope to get from any Audi. You’ll be quite comfortable driving it, and the cabin is quiet and crafted in high-quality materials. You get plenty of features for your money, too, at least relative to the more expensive Q5. 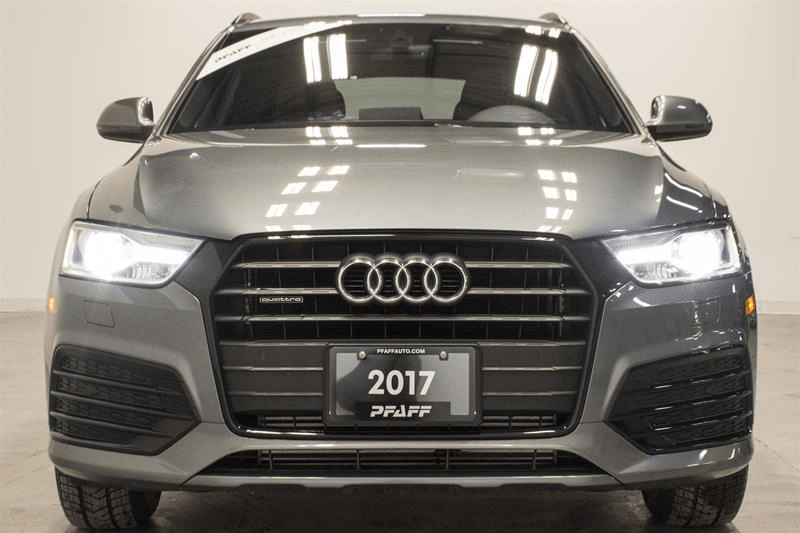 The 2017 Audi Q3 2.0T is available at Pfaff Audi Vaughan at our pre-owned car facility at 115 Auto Park Circle in Woodbridge. In this article by Pfaff Audi Vaughan, we will talk more about this vehicle. Read on for more information. You’ll like the 2017 Audi Q3’s ride quality. Even with the larger 19-inch wheels, the Q3’s soft suspension delivers a smooth, quiet and fuss-free experience on the highway. This is the Q3 at its best, though. When it comes to engine performance, the Q3 is no more than adequate. The turbocharged four-cylinder engine has a nice, refined feel to it, never drawing attention to itself with undue noise or vibration, and the acceleration is exceptionally responsive and powerful for this luxury-branded vehicle. The interior of the Q3 builds on the cabin design of the Audi A3 sedan; it’s tasteful and well-detailed, with elegant looking interior trim and material. Clear, big gauges are paired on some versions with an infotainment system and a big 7.0-inch screen that folds out from the dash in a way that’s technologically impressive. A 200-horsepower, turbocharged 2.0-liter inline-4 produces 207 pound-feet of torque, and it’s well-matched to a 6-speed automatic transmission. Some models have front-wheel drive, but most will probably opt up for Audi’s quattro all-wheel drive here. The Q3 is perky and it handles well, although it’s clearly tuned more for ride comfort more than crisp handling. In all, the Q3 has the tidy road manners you’d expect for its brand and its size, it has some of the better ride quality of the bigger Q5, compared to its direct German rival. 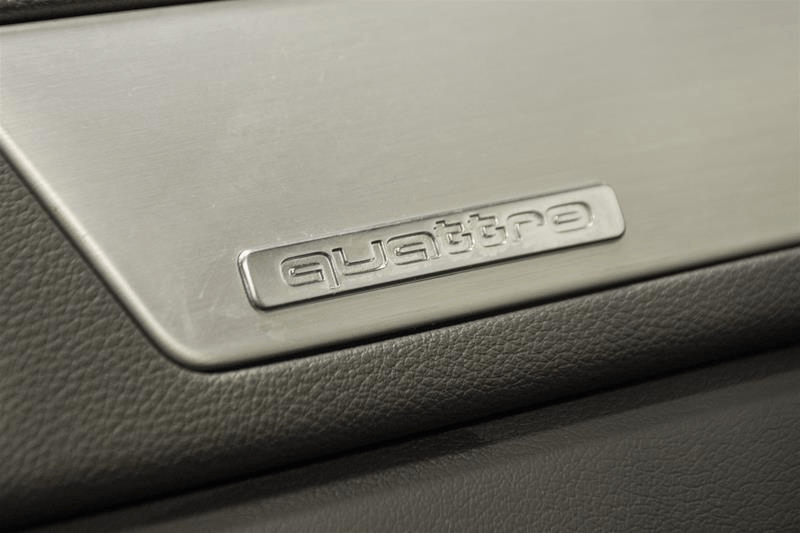 The Q3 comes with either front-wheel drive or Audi’s Quattro all-wheel drive. Either way, the transmission is a 6-speed automatic, and the engine is a turbocharged 2.0-liter 4-cylinder unit rated at 200 horsepower and 207 lb-ft of torque. The 2017 Audi Q3 2.0T is very good on gas, and has a high fuel economy rating. 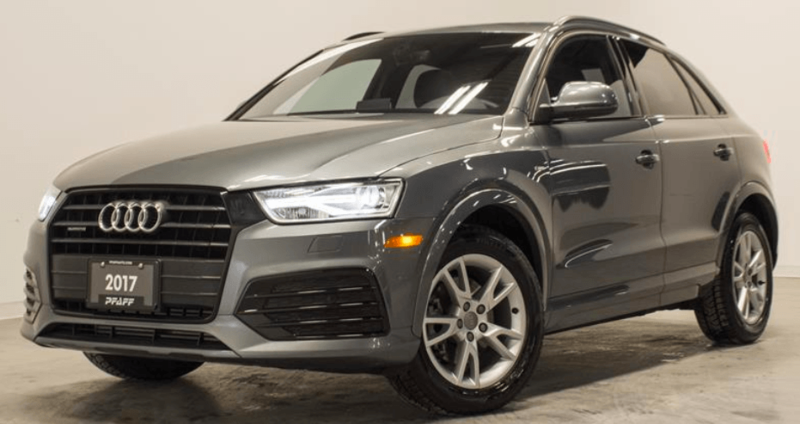 If you are looking for a pre-owned SUV, then we suggest that you schedule a test drive in this 2017 Audi Q3 2.0T today. Our pre-owned vehicles will not last long! Feel free to come in and visit us at 115 Auto Park Circle in Woodbridge and check out our selection. Click here to find our contact information, schedule a test drive, or to fill out our contact form.